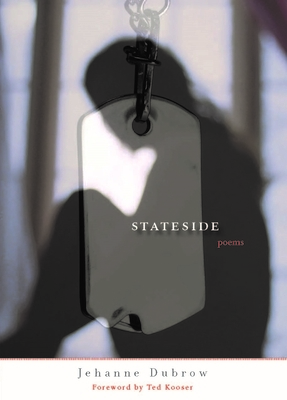 Although the poems in Stateside are concerned with a husband's deployment to the war in Iraq, Jehanne Dubrow's riveting collection is driven more by intellectual curiosity and emotional exploration than by any overt political agenda. The speaker in these poems attempts to understand her situation within the long history of military wives left to wait and wonder – Penelope is a model, but also a source of mystery. These poems are dazzling in their use of form, their sensual imagery, and their learnedness, and possess a level of subtlety and control rarely found in the work of a young poet. Dubrow is fearless in her contemplation of the far-reaching effects of war, but even more so in her excavation of a marriage under duress. Jehanne Dubrow teaches creative writing at Washington College in Chestertown, Maryland. She has a PhD from the University of Nebraska and an MFA from the University of Maryland. Dubrow is the author of two previous poetry collections, The Hardship Post and From the Fever-World.